Etsy shop FictionFurniture creates amazing furniture based on fictional characters and props. 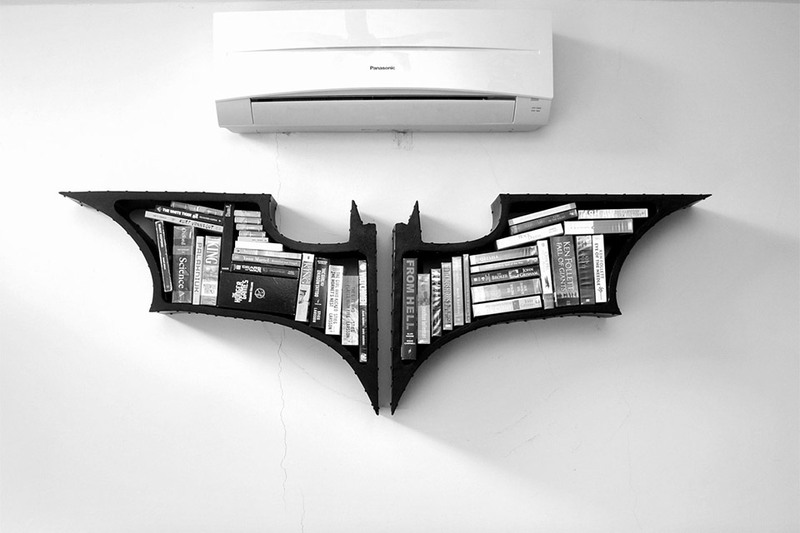 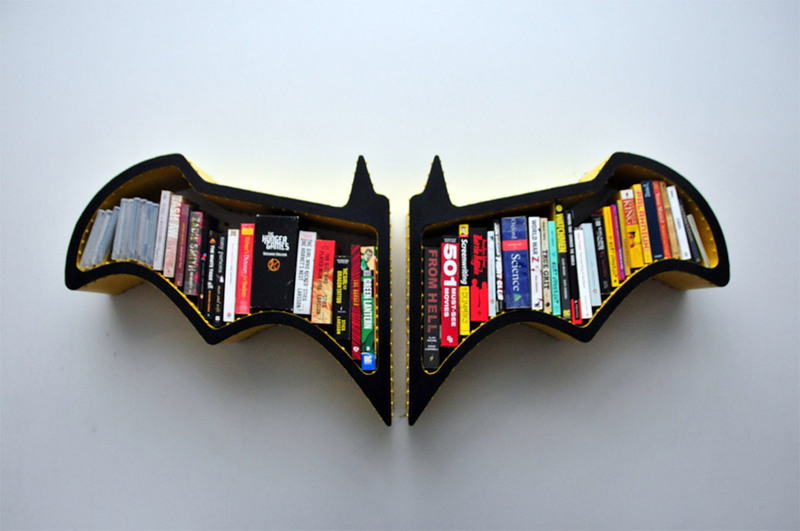 These two bookshelves are based on the Batman symbol, one based the classic Batman symbol and the second on the symbol as it appears in The Dark Knight line of films. 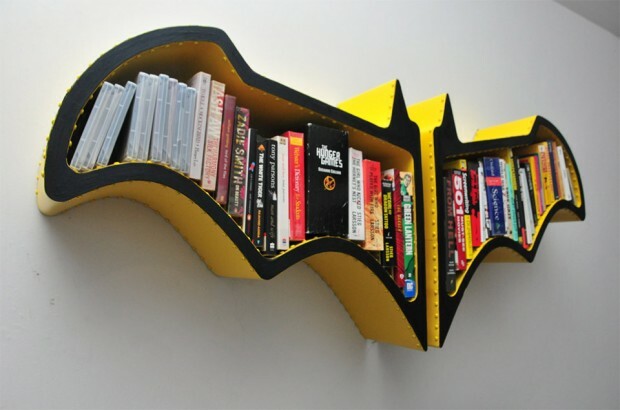 The shelves are made to order, so you’ll have to be patient. 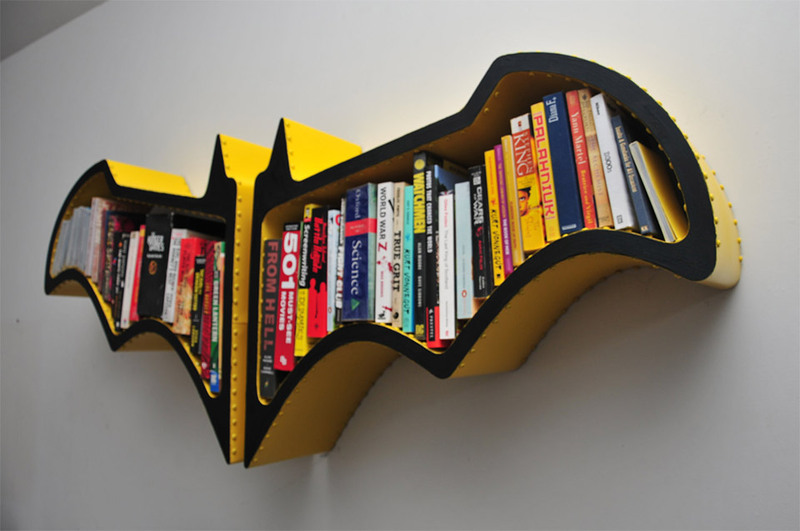 The Dark Knight shelves are 22″ x 32″, but there are no dimensions specified for the Classic.